Electrical Machines with MATLAB® encapsulates the invaluable insight and experience that eminent instructor Turan Gönen has acquired in almost 40 years of teaching. 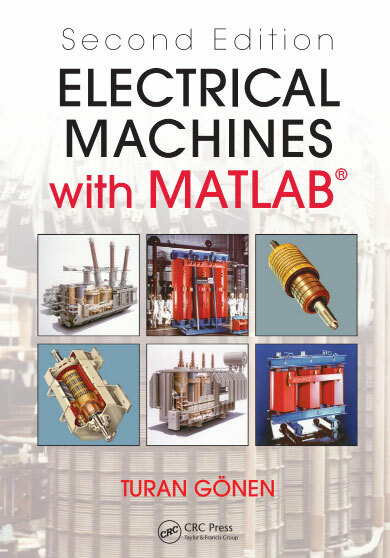 With simple, versatile content that separates it from other texts on electrical machines, this book is an ideal self-study tool for advanced students in electrical and other areas of engineering. In response to the often inadequate, rushed coverage of fundamentals in most basic circuit analysis books and courses, this resource is intelligently designed, easy to read, and packed with in-depth information on crucial concepts. Using International Systems (IS) units throughout, this cross-disciplinary design guide delves into commonly used vocabulary and symbols associated with electrical machinery. Several new appendices contain tools such as an extensive glossary to explain important terms. Outlining a wide range of information―and the many different ways to apply it―this book is an invaluable, multifunctional resource for students and professors, as well as practicing professionals looking to refresh and update their knowledge.